CARL RUSSO/Staff photo. MIDDLETON MAGAZINE: Samantha pours the wine. 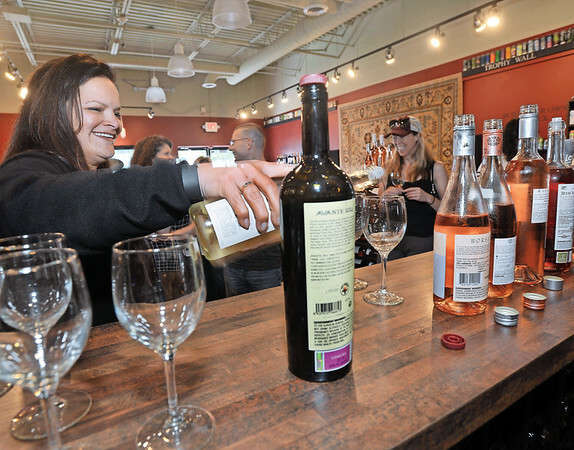 John and Samantha Miller, owners of Vinum Wine Shop in Middleton held a Wine tasting on Saturday (8/12). 8/12/2017.